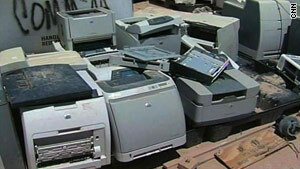 As the U.S. army withdraws from Iraq, it is selling off old equipment to Iraqis. As the U.S. military continues its drawdown from Iraq, dozens of U.S. bases across the country are closing down. Equipment deemed unnecessary is being purchased by Iraqi wholesalers, who are selling off the discarded items. This week, MME takes a look at how Iraqis are benefiting from the second-hand sale. Libyan leader Moammar Gadhafi traveled to Italy this week to celebrate the anniversary of a $6.3 billion accord between the two countries. Over the past couple of years, Libya has opened itself up to foreign investments in all sectors including energy, construction, defense systems and banking. This week, MME looks at the potential Libya has to offer and the politics surrounding its re-entry into the global economy.